(Natural News) A new release of emails between Monsanto and senior officials at the Environmental Protection Agency (EPA) reveal deep collusion and a forceful effort by Monsanto to halt a safety review for their top-selling herbicide, Roundup. 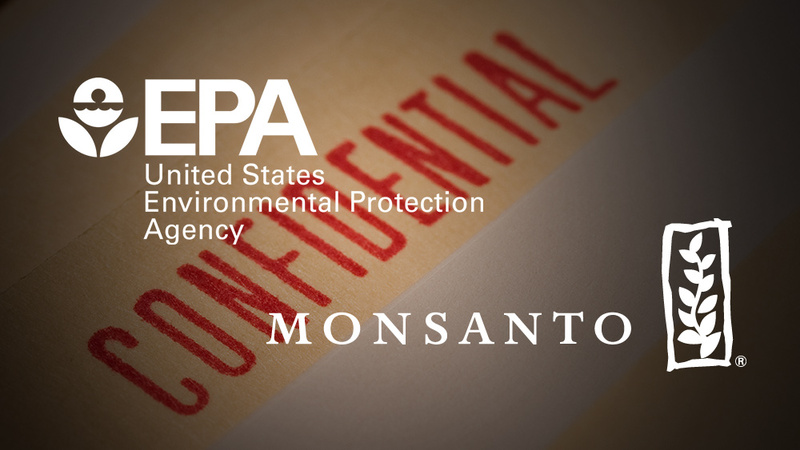 The email communications, uncovered by a Freedom of Information Act request, revealed Monsanto’s forceful influence over the EPA and showed just how far they will go to control the science. In the communications, EPA officials worked with Monsanto to delay a toxicology review on glyphosate that was supposed to be conducted by the Agency for Toxic Substances and Disease Registry (ATSDR), which is part of the U.S. Department of Health and Human Services (HHS). The collusion began in early 2015, back when the World Health Organization’s International Agency for Research on Cancer (IARC) had declared Roundup’s active ingredient, glyphosate, a “probable human carcinogen.” The IARC findings infuriated Monsanto; the corporation stands by their claims of glyphosate safety. With lawsuits coming down on them, Monsanto senior officials knew that something had to be done to make glyphosate appear safe again in the public’s eye. Monsanto feared that ATSDR might have similar concerns about the carcinogenicity of glyphosate, so Monsanto officials used their connections at the EPA to put a stop on the toxicological review. The emails reveal that EPA officials kept in contact with Monsanto and even updated them on their progress for halting the ATSDR toxicological review. The emails detail how Monsanto tries to cover up scientific review of their agrichemicals, vindicating lawsuits that allege Monsanto tried to cover up glyphosate’s evidence of harm in cancer cases. Since glyphosate plays such a large role U.S. agriculture and lawn care, and with IARC classifying the herbicide a “probable carcinogen,” it was absolutely essential for ATSDR to publish a review on the widely used herbicide. In February 2015, the agency promised a toxicology review on glyphosate by October 2015, but it was halted and no toxicological profile has been published to date. We now know why this happened, with emails revealing Monsanto’s pressure to stop it. Jess Rowland, former deputy division director within the health effects division of the EPA’s Office of Pesticide Programs (OPP), retired in 2016 after communicating to Monsanto her desire to kill the ATSDR review. According to the email dump, Rowland is not the only high level EPA official working with Monsanto to stop the toxicology review. At the behest of Monsanto, a consortium of EPA officials aggressively pressured the ATSDR and HHS, claiming that a toxicology review on glyphosate is unnecessarily “duplicative” because the EPA was putting their own review together. Not surprising, the EPA’s assessment in 2016 refuted IARC’s scientific proof that glyphosate was a probable carcinogen. For a more complete breakdown of the emails, visit US Right to Know and stay informed at Glyphosate.news.